A beautiful multipurpose Social Media Pack covering all bases with easy to use templates! Clean, modern and fully customisable. Ideal for your website, blog, social media posts through Facebook, Instagram, Pinterest and more. Optimised for all of these platforms. File format: .indd, .idml, .psd for Photoshop, Indesign or other software. 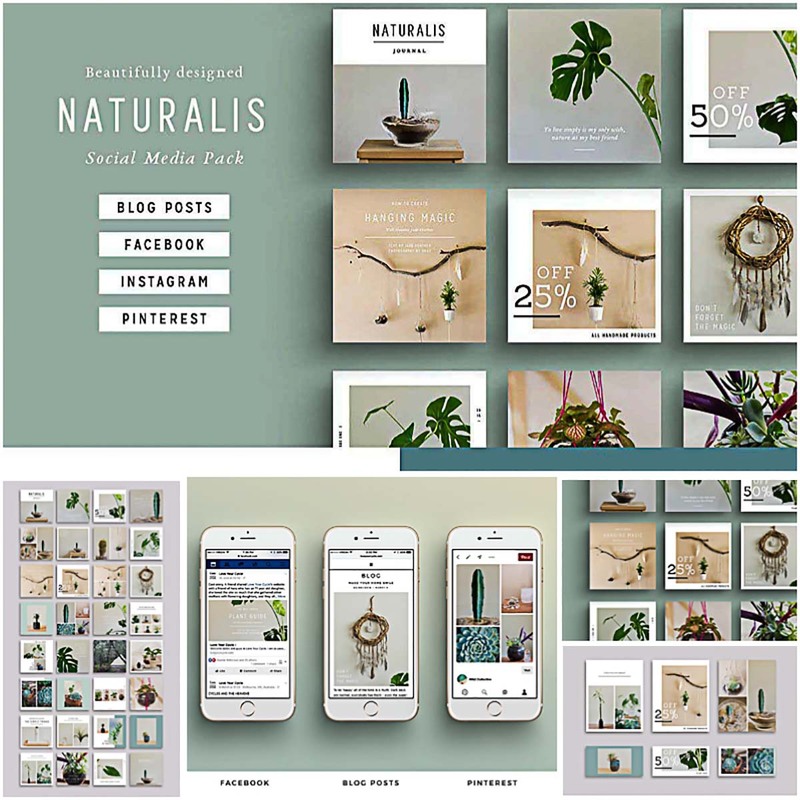 Tags: ads, blogger, facebook, green, indesign, instagram, pinterest, plant, post, social media, sophisticated. It is exactly what i want! Great!